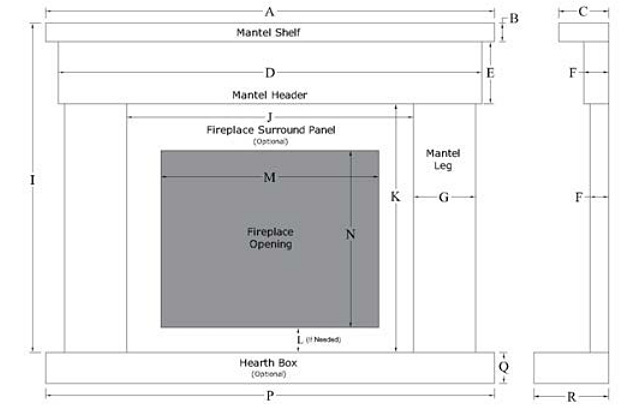 Custom Shelf Height (B) if desired 2" 3" (default size) 4" 5"
Custom Shelf Depth (C) if desired 6" 8" (default size) 10"
Header Height (E) Let Manufacturer Calculate 8" 10" (default) 12"
Leg Width (G) Let Manufacturer Calculate 8" 10" (default) 12"
We've found metal mantels to be especially useful in small fireplace designs; they're built to order so you can customize it to fit into impossibly small areas. 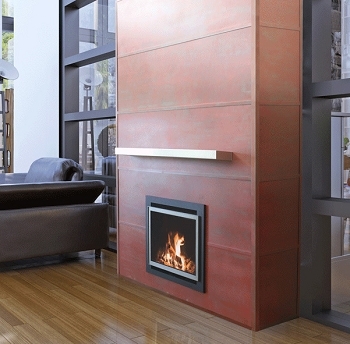 A metal mantel is completely non-combustible, offering a great option for a mantel in close proximity to a wood stove or to provide a mantel when clearances to the fireplace are especially challenging. 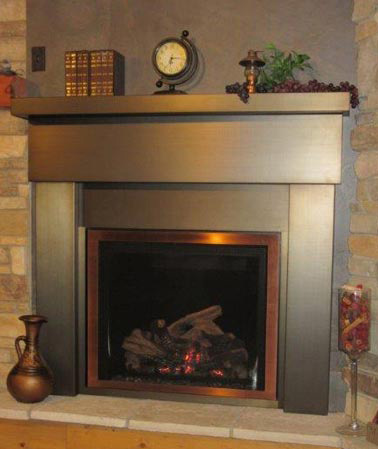 MANTEL WITH SHELF $1499 in choice of standard powdercoat finishes. Other finishes available at extra charge of $600 or $1000 extra for stainless steel. 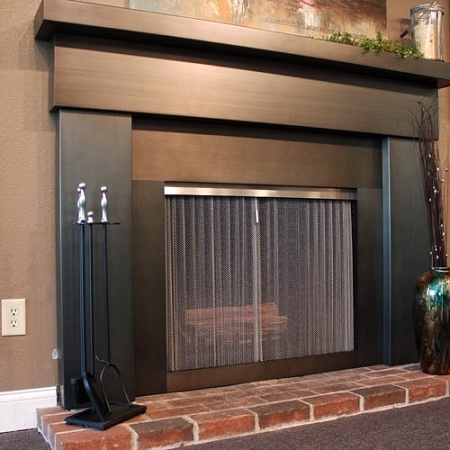 These steel mantels can be customized in so many ways, and if you find the online ordering system too difficult then please do call or email us for help! 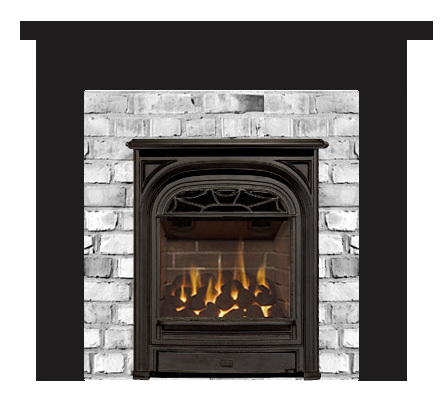 Your design may start by figuring either the inner dimensions (the size of the opening) and work outwards, or in a design where you're trying to fit the mantel to fit within specific outside dimensions then provide us the OUTER DIMENSIONS when ordering above. CUSTOM MANTELS ARE NOT RETURNABLE! Get perfect measurements! Please call us to help you if you have ANY questions!